Meaningful change is coming to the Ford Expedition lineup for 2015. Just when it almost looked like Ford had written off its full-size truck-based SUV completely—it’s been carried over mostly unchanged for many model years—the Expedition has been brought fully up to the expectations of a new decade of SUV shoppers with a higher-mileage turbo V-6. a new continuous-damping suspension system for more comfort and quiet, and cosmetic improvements all around. And looking at the Expedition’s competitive set, it’s rising to the challenge just in the nick of time—to meet redesigned full-size GM SUVs (the Chevrolet Tahoe and Silverado, and the GMC Yukon and Yukon XL), which have been given quieter, more stylish interiors, more features, and a fuel-saving engine lineup. The 2015 Ford Expedition remains based on the Ford F-150; although with the 2015 F-150 going in a radical new direction, with a lightweight aluminum construction, there’s no longer going to be such a direct connection. And we feel like some of the Expedition’s changes on the outside go toward distancing it from the ever-bolder F-Series. Visually, the new Expedition has a somewhat chunkier yet softer and streamlined look—within the confines of its carry-over profile. There’s a thick new chrome strip across the back that, from pictures, looks to visually lower this big ute, while wheel sizes now range up to 22 inches and exhaust pipes are now chrome-tipped. Inside, plush new upholsteries have been added, and the Platinum model’s trim has been upgraded for more contrast. And yes, there is indeed a plush King Ranch model on the way. From a design and functionality standpoint, the biggest news is front and center, where the MyFord Touch infotainment system has been installed here, with an eight-inch screen, two new, smaller full-color 4.2-inch screens flanking the steering wheel, and clean new center-stack design to accommodate it (and fit in with current Ford models). Based on early pictures, we still see the instrument-panel design, outside of those improvements, to be from another era, although the look is pretty cohesive—and a lot more convincing. The big news, however, is that Ford is forgetting about the V-8 and instead installing its EcoBoost V-6 in the 2015 Explorer—which should bring gains of around 2 mpg (over the current 2014 ratings of 13 mpg city, 18 highway with 4WD, or 14/20 with 2WD) while maintaining the current towing ratings of up to 9,200 pounds. Although Ford hasn’t officially released specs for the Expedition, the same engine makes 365 horsepower and 420 pound-feet of torque installed in the current F-150. It should make the Expedition quicker and less cumbersome to drive. Powertrain is only part of it, though. Ford has also added a continuously damping system to the Expedition—for the first time ever on a Ford-brand vehicle. In the 2015 Expedition it will offer three modes—comfort, normal, and sport—and draw from 46 different sensors/inputs to make a split-second change according to the road surface, loading, or even steering inputs, for instance. The system is indeed paired with a version of Ford’s electric power steering—also new to the Expedition. We already thought that the outgoing Expedition rode and handled better than most vehicles in its class, so we’re eager to spend some time in this improved model. We expect the two lengths of the Expedition—standard and EL—to carry over for 2015. With the Expedition EL you gain 14.8 inches longer overall, with longer rear fenders and glass. It’s one of the biggest SUVs on the planet, frankly, and its wheelbase of 131 inches is longer than the full length of either a Smart fortwo or Mitsubishi i-MiEV. With either version you get an almost van-like interior and loads of passenger space in the first two rows, but cargo space is more abundant and third-row access is much easier in the EL. Just beware that you’ll pay the price in maneuverability and parking ease. The Expedition hasn’t been crash-tested in many years; and we’re not yet sure how much its structure has changed for 2015; yet in past model years it’s maintained a good safety reputation. For 2015, Ford is adding a radar-based Blind Spot Information System (BLIS) with cross-traffic alert. A rearview camera system is also included. Very little has been detailed yet about feature content or trim levels (although a new Platinum series will bring top-of-the-line features plus wine-color Brunello leather with tuxedo stripes and French seams. Some other additions to the lineup, according to Ford, include seven-color LED ambient lighting, Ford truck apps, for towing, and a ten-speaker, 700-watt Sony sound system. The 2015 Ford Expedition goes on sale later in the year. Thor Motors, your Ford Dealer in Orillia. We are a full service dealer and offer new and used vehicles, service and low interest financing. Visit us today! As a general rule, gas-electric hybrid cars and trucks are not fun; their very nature precludes it. Hybrids are made to maximize conservation at the expense of stimulation. The thrill of driving one is seeing the mpg indicator creep higher, rather than the speedometer. But a fuel-sipper doesn’t have to look ugly to be efficient; you could opt for the 2014 Ford Fusion Hybrid. Seriously. Take a good look. I’ll wait. See what I mean? It’s so beautiful you’d never guess that it’s a hybrid. Redesigned last year, the Fusion’s face wears a grille that bears more than a passing resemblance to the one used by Aston Martin. It fronts a sleek, athletic body that’s a bit more distinctive. Taken together, the car is about as fetching as you can expect a mainstream midsize sedan to be. Perhaps its most beautiful feature is its EPA rating: 47 mpg city, 47 mpg highway. My 310-mile test drive yielded a very respectable 43 mpg, which is better than most conventional compact cars. As you may know, a gas-electric hybrid pairs a gas engine with one or more electric motors. By having electricity do some of the chores, the car or truck burns less gas. As a concept, it’s more than 100 years old. As a realistic transportation solution, it’s about 15 years old. And it works seamlessly in the Fusion Hybrid. Ford combines a 141-horsepower 2.0-liter four-cylinder engine with a 118-horsepower electric motor and funnels the power through a continuously variable automatic transmission to the front wheels. Horsepower is rated at 188. That’s not enough to make the Fusion a speed demon, but the car proves lively enough to slug it out in the worst suburban street warfare. That said, you’ll notice a hum from the gas engine when it comes on; it’s just enough to let you know what’s happening under the hood. And, as with other Ford hybrid models, you’ll be coached into driving conservatively. A screen to the right of the speedometer displays a diagram of a plant. The more leaves appear, the more efficiently you’re driving. But efficiency has not changed the Fusion’s impressive agility. The Hybrid’s handling is every bit as good as the standard Fusion. The car has a solid feel, and the steering seems perfectly weighted. Body roll is kept to a minimum when tackling corners, and braking isn’t as grabby as with other hybrids. It is a very willing dance partner, even for car enthusiasts. While dancing, you’ll find the cabin’s decor is starkly modern, with a good quality feel that will satisfy most shoppers. Offered in S, SE and Titanium trim levels, the Fusion’s interior is fairly roomy, with good room up front and adequate room in the rear. But the car’s arched roof line, which does much for its sporty looks, compromises rear seat headroom. It also requires care when entering or exiting the rear or else you’ll knock your noggin. Opting for the Hybrid also means living with an oddly shaped trunk that’s noticeably smaller than that of the standard Fusion. Much of the missing space is taken up by the hybrid’s battery pack. But none of this is enough to rob the car of its basic goodness. There’s little doubt that the Ford Fusion Hybrid is the perfect, um, fusion of fuel economy, enjoyable handling and striking looks. It makes saving fuel easy on the eyes as well as the wallet. Conserving fuel rarely looks this beautiful. The Fusion Hybrid, available at Thor Motors. We offer both new and used vehicles, service and financing. Visit us today. Whether it’s through diligent online research or waiting patiently for the object of your affection to go on sale, we’re always on the hunt for ways to save money. Now there’s a car that can help you do this! With the 2014 Ford Fiesta equipped with the award-winning 1.0-litre EcoBoost engine, you’ll get more power from less gas, which means more money to spend on the other things you love in life. Fiesta’s modern and aerodynamic design will help you glide down the road in style, and the sporty yet sophisticated interior makes you feel like royalty behind the wheel. Under the hood, EcoBoost technology combines a smaller-displacement engine with turbocharging, direct injection, variable valve timing, and proprietary Ford software to deliver an incredible performance that you’ll be thrilled to welcome into your life. But the great news doesn’t stop there – the impressively well-appointed interior of the new 2014 Fiesta is designed to give you a personalized driving experience that combines comfort, convenience, and fun. From heated leather seats to unique colour choices, it’s a vehicle that appreciates the importance of offering options to suit your needs and match your style. The technically advanced centre console keeps you connected to your world with smart, powerful, and user-friendly features, including an available rear-view camera, navigation system, and voice-activated technology that allows you to access your phone and music library, and even have text messages read to you while you drive! Smart and good looking, contemporary and comfortable, EcoBoost-powered Fiesta takes you everywhere you want to go and helps you save money for those other things you want. 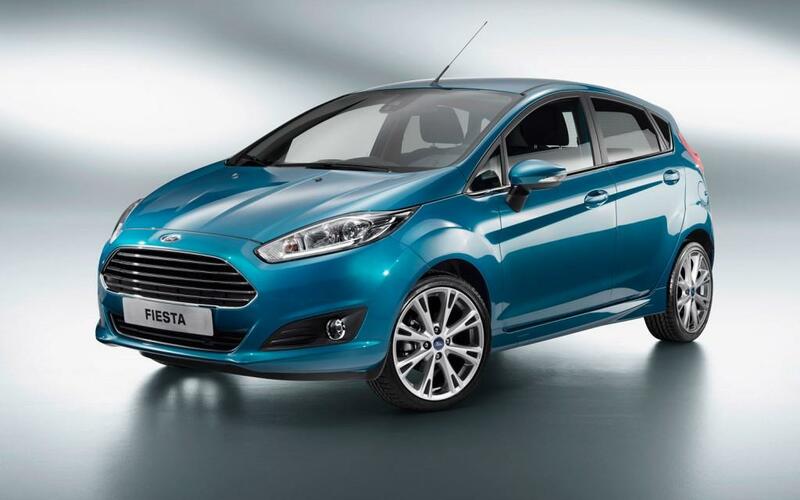 So keep searching for that trip you want to take or that perfect pair of shoes – the 2014 EcoBoost-powered Fiesta understands what you’re looking for. There are already 2 million cars with EcoBoost technology on the road today, so join the party and experience what it’s all about. The 2014 Ford Fiesta, available at Thor Motors in Orillia. Visit us now! At Thor Motors we have a full line-up of new vehicles, quality used, car financing, and fast reliable auto service. Available at Thor Motors, your Ford Dealer in Orillia. We offer both new and certified used cars and trucks, professional service and great car financing. Let our friendly staff help you with your next vehicle purchase.